Durable-made by tear, water-proof, anti-abrasion nylon which provides strength and long-lasting performance with the lightest weight possible. DIMENSIONS: 12.99"L x 5.90"W x 13.28"H, Weight: 1.3 pounds. [PRACTICAL STRUCTURE]: 1 main zipper compartment with 1 interior zipper pocket and 2 interior pockets, 2 side pockets, 2 front zipper pockets. 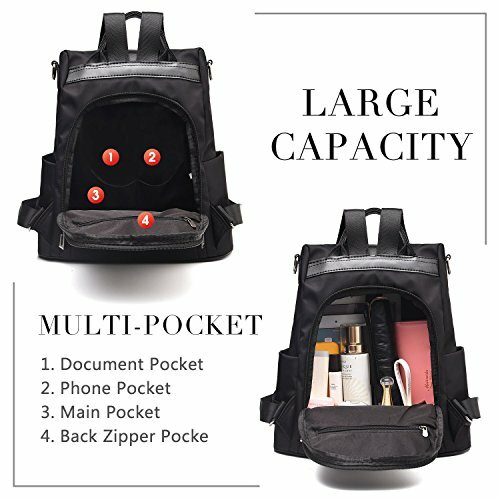 Multi-pockets could hold your iPad Pro, cell phone, umbrella, water bottle, house keys and other tiny items. Perfect for using in Office, School, Dating,Travel or any Other Daily Occasions. 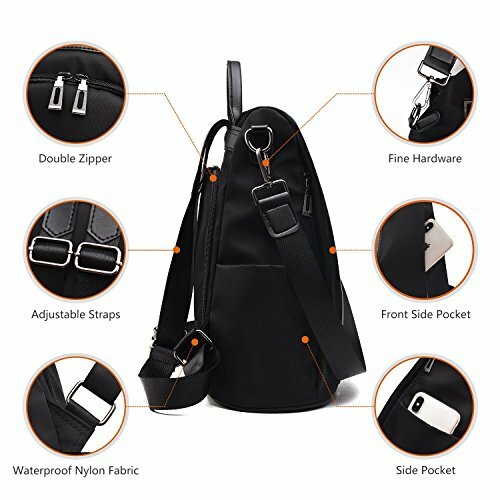 CLOSURE: Back Zipper Closure, effective anti-theft design, it is Rainproof, there is No Worry About The Items In The Bag Get Wet in Rainy Days. 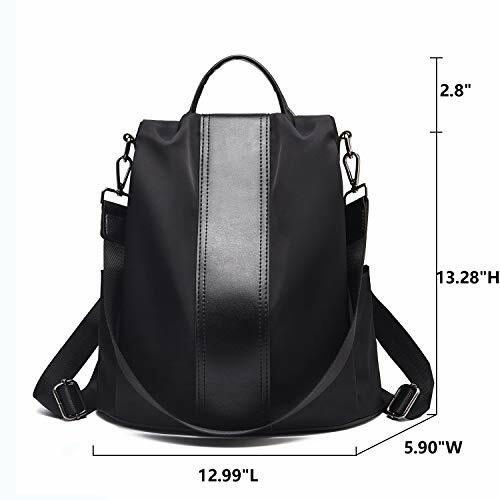 The strap of backpack is adjustable. 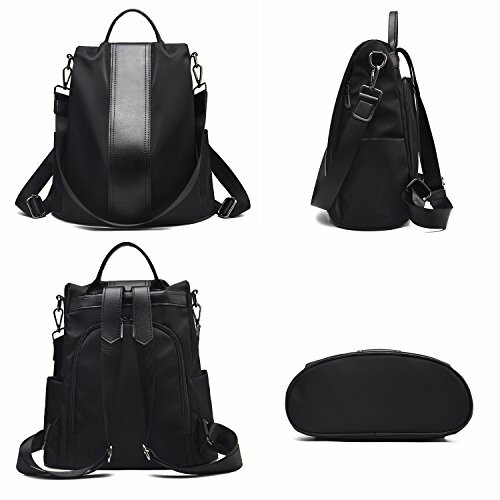 And you can carry it as a single-shoulder bag or backpack as there is a removable short shoulder strap. 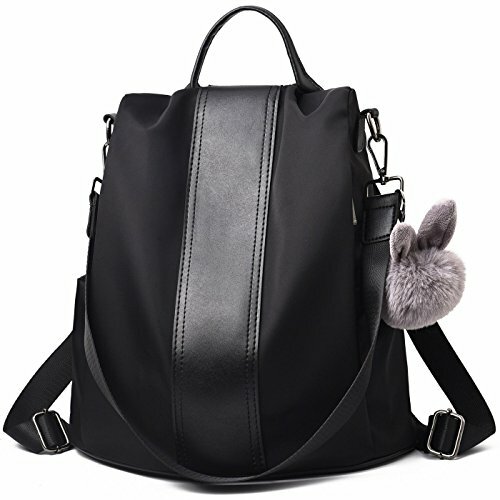 Removable and adjustable long shoulder straps and rabbit plush ball deco.